This has been my best year yet for my container veggie-and-herb garden. At least it started out great. 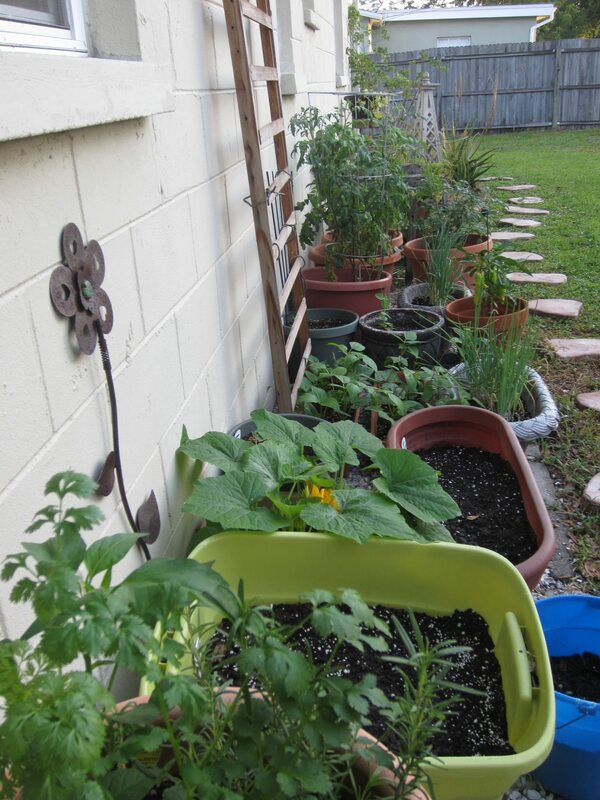 Container garden in the spring.